To recognize a firefighter (or firefighters) of an organized fire department who have, at great personal risk, been credited with saving or attempting to save a human life in an extreme emergency situation in the past year since the previous award. This recognition of valor shall be demonstrated by an individual or individuals going above and beyond the normal call of duty as indicated by the nomination and judged by the NCSFA Awards Committee. Click here for Firefighter of the Year form. Award of the Medal of Valor will be to the individual or individuals who while as active members of the North Carolina Fire Service, distinguish themselves conspicuously above and beyond the call of duty and at the risk of his or her life, by exercising courage and intrepidity. The act or acts of heroism must have required a risk of personal safety or life; and the individual have displayed personal bravery or self-sacrifice so extraordinary as to set the individual apart from his or her fellow firefighters. The act justifying award of the Medal of Valor must be performed while engaged in emergency scene operations. These actions are to have been accomplished in a manner that would not discredit their actions as reckless or ill-advised. Incontestable proof of the valorous act will be required from the representing Fire Chief and or submitter for each recommendation for the Valor Award. The valorous act must have occurred in the previous year since the prior award. The Valor Award may be awarded posthumously. Any person who is a member of a recognized fire service organization in the State of North Carolina and also a member of the N.C. State Firefighters’ Association is eligible. 1. 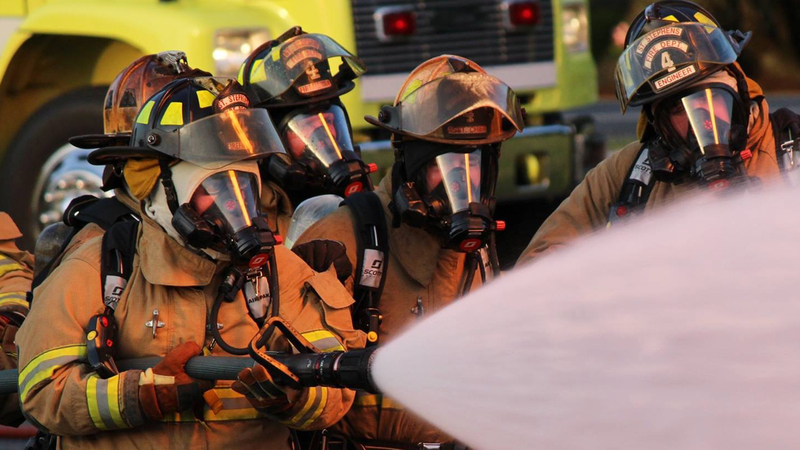 Any member of a volunteer, combination, or career fire department in North Carolina. The nomination shall be submitted on the provided application. Individuals or multiple individuals of a team involved in a heroic lifesaving event involving great personal risk may be submitted. Groups may be submitted on a single application form. The nomination shall include a complete description of the event, deeds or actions taken, the life peril that was involved, the results, and any other pertinent information. Review of nominations will be conducted by the NCSFA Awards Committee. Applications will be completed and submitted to the NCSFA Executive Director no later than May 1st annually. Individuals nominated by a partner State or Regional Association shall be submitted by that Association’s current President. The annual award(s) will be presented at the NCSFA Annual Conference Banquet to the recipient(s) or their family(s). The Valor Award will be presented by the NCSFA President with the NCSFA Board present. A service pin, medal, certificate, and plaque commemorating the accomplishment(s) will be awarded to the recipient(s). The award(s) presented each year will be recommended by the NCSFA Awards Committee to the NCSFA Executive Board at the June Executive Board Meeting. The recipients’ name will be placed in a location of prominence in the NCSFA office as a remembrance of their valorous act(s). Additional information, documents, letters, etc may be submitted with this form. The nominee(s) must be a member of the North Carolina State Firefighters' Association. The nominating Fire Department must also be a member. Nominations must be received on or before May 1, 2019.